The second half of Season 4 has been a story of journeys. Not since the opening season and the trip to the CDC have we seen so much movement, and never have we seen the group scattered so badly. 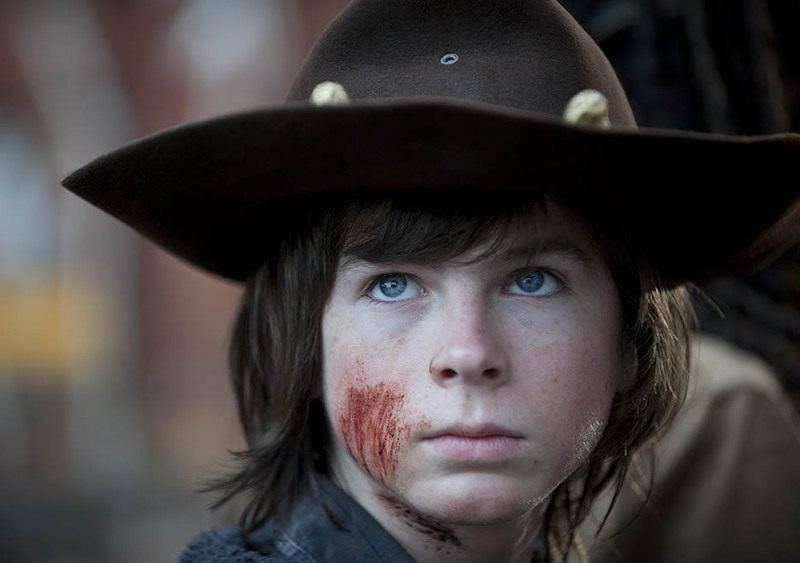 Yes, Rick woke up alone before finding the group in Season 1; Andrea was separated from the group at the end of Season 2; and we spent a couple of episodes with Daryl, Michonne, Tyreese, and Bob as they sought out antibiotics earlier this season away from the main group – but they always knew there was a home to go back to. These past seven episodes since the Mid-Season Finale and the destruction of the prison have been a series of focus pieces that have not only shown the group members alone and dependent on their own devices, but has enabled us to get to know them much more intimately than we had before. This, of course, sets the viewers up for a much more emotional season finale. New people have been introduced: the good (Abraham, Rosita, and Eugene); the bad (Joe, Len, and the other marauders); and the not-necessarily-but-could-be-ugly (Mary, and the other inhabitants of Terminus). All of this combines to bring us to what could be a grand climax at the appropriately named end of the line: Terminus. Does the finale live up to the season that’s come before? Click through after the break to get my take. Last month I reviewed one of my favorite SF novels of all time, George Orwell’s Nineteen Eighty-Four. 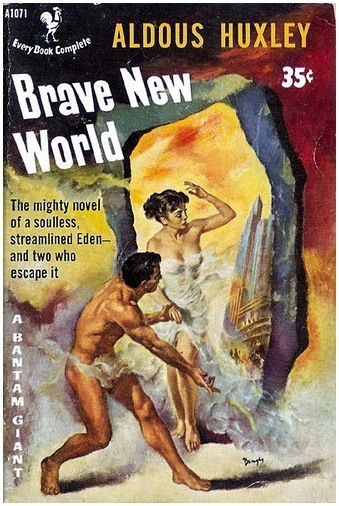 This month, I turn to one of Orwell’s near-contemporaries, an author of another Dystopia that paints a world just as controlled as Orwell’s, only with a little more velvet on the iron fist: Aldous Huxley, and his magnum opus, Brave New World. Published in 1932, it predates Orwell’s work by just shy of two decades. While Orwell was influenced by his experiences in World War II, Huxley, nine years his senior, was more influenced by the laissez faire attitudes of the 1920s when writing his particular brand of future society. Although Brave New World‘s London is, on the surface, a much more desirable locale than the London of Winston Smith, we cannot forget that there is still that iron fist beneath the velvet surface. Click through after the break to get my take on this amazing novel. 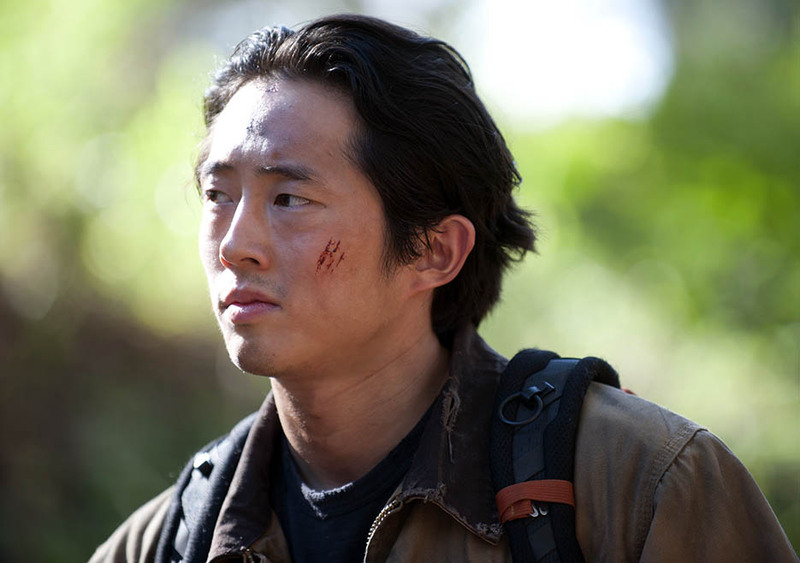 This Sunday brings us the Season Four Finale of The Walking Dead. What with the mid-season hiatus that has been the norm since Season Two, we did get a stretch run of sixteen shows over a twenty-four week period. The fact that TWD runs for almost half a year, however, doesn’t mean that the next six months until October are going to pass any faster. Previous finales have ended on a note of completion, giving us more answers than questions – even the subtle pan up from Rick and the group after their near-disaster at the end of Season Two, made it pretty clear what the direction of Season Three was going to be. This time around, however, we have a situation with so many unresolved issues, and with members so widely dispersed, that I suspect we’re going to be getting less a sense of completion this week, and more of a mid-season type cliffhanger. The question is: how cruel will Scott Gimple be to his loyal viewers? I have some new ideas that include a couple of shockers, and some suggestions that may ring bells with readers of the comic (although I won’t specify which of those they are, so as not to spoil the comic for anyone not caught up). Click after the break to watch the Sneak Peek and Promo videos, and to get my take on possible directions for this season’s climactic chapter. With the Season Finale just one week away, there are a ton of questions yet to be answered, and our groups are still widely scattered. 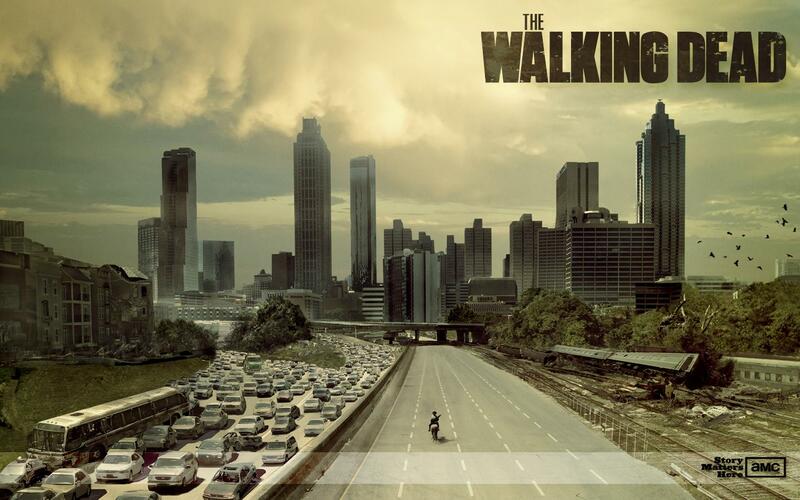 Now that everyone save for Daryl and possibly Beth seems to be on the road (or tracks) to the same destination, this situation should be changing very soon. How much did it change tonight? Were any lingering questions answered? And how does Scott Gimple follow last week’s intense episode, the best of this season and possibly the entire show so far? Click after the break to read my episode recap and commentary, as I try to dissect what we learned tonight, and suggest what may be coming up next week. Neil deGrasse Tyson has quietly become the new face of physics and space exploration over the last several years. Back in the 80s, Carl Sagan was far and away the most popular scientist among lay persons, but after his death, it took a long time to find an heir apparent. 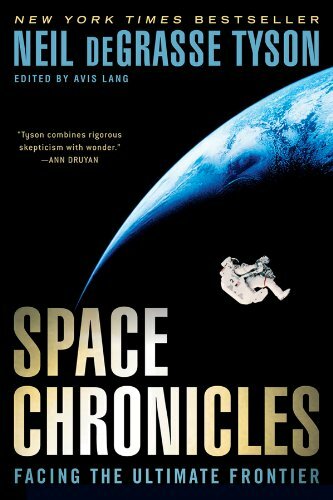 Michio Kaku has flirted with the idea, and does have some interesting and accessible books out, as well as making numerous appearances on a variety of news programs over the years. But in the last ten years or so, Dr. Tyson has become the undisputed go-to physicist for everyone from CNN to Jon Stewart’s The Daily Show. He isn’t just another pretty face, however: he’s been on Presidential panels, and is the head of the Hayden Planetarium in New York, a prestigious scientific position. He holds four degrees, earning his BA at Harvard, his first MA at UofT Austin, and an MPhil and PhD from Columbia. Beginning in 1995, he wrote a regular column for Natural History magazine; this book is a collection of several of those columns, as well as transcribed keynote speeches given at various conferences and a mixture of other essays, papers, and speeches. To find out how these work together as a book, check after the break for my full review. This week brings the penultimate episode of Season 4; it’s hard to believe that we have only one more week to go after this, and then the long wait until October. Last week was an extremely intense, challenging episode that held viewers in its rather discomfiting spell for the whole hour. How will this week’s episode manage to measure up to that? It is important to note, however, that penultimate episodes have been important each of the last three seasons. In Season 1, we had Episode 105 “Wildfire,” where the survivors arrived at the CDC, only to find things much worse than they thought; then Episode 215 “Better Angels,” notable for the final showdown between Rick and his best friend Shane; and last year’s Episode 315 “This Sorrowful Life,” in which Merle made the ultimate sacrifice as a form of redemption, and the Governor got ready for his assault on the prison. The thing is, each of these episodes was a culmination of events and tensions that had been building for several episodes (for two seasons, in the case of Shane). Here in Season 4 Land, however, things are not quite so obvious. Yes, it looks like Terminus is going to be the location of this season’s endgame, but we still know absolutely nothing about the place, its inhabitants, or their purpose (if the place is even inhabited at this point – the signs could be old). Terminus as a name is patently symbolic, representing both the end of the road for our survivor groups, and the end of the season as they, presumably, start to meet up once again as they arrive, not to mention that it is a euphemism for death itself. Is that what our survivors will find down the tracks? For my thoughts on where “Us” will take, well, us, click through after the break. Runtime: 1 hr. 38 mins. 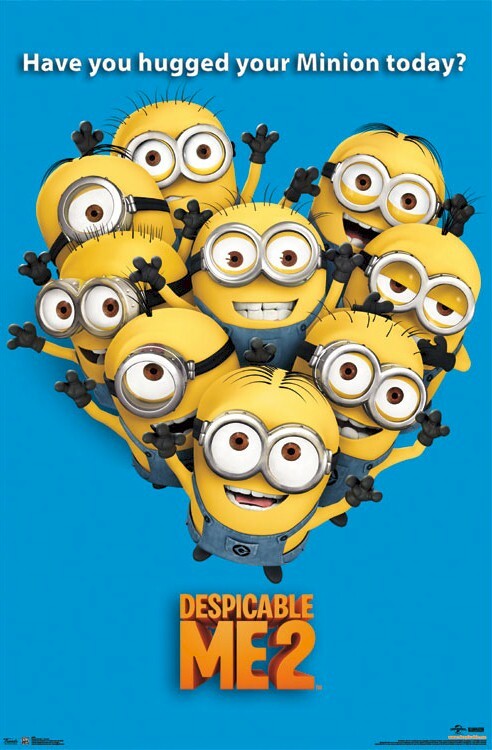 2010’s Despicable Me was a surprise hit worldwide, pulling in more than half a billion dollars at the box office. It’s sequel, 2013’s imaginatively title Despicable Me 2, did even better, nearly doubling that total while hitting upwards of the $350 million mark domestically. But just because a sequel does better at the box office doesn’t mean that it is necessarily a better movie. Will Gru [Steve Carell] as a good guy be as entertaining as Gru as a bad guy was? Click through after the break to see my take. Talk about heavy! This was an extremely intense episode that answered several niggling questions from the earlier parts of the season, and finally brought two characters’ brewing issue to a head (even if only one of them knew there was an issue between them). For the first time since the Mid-Season Finale, we actually had deaths among the series’ regulars, and some real narrative movement which sets us up for the last two episodes of the season. I’m still not sure what the destination is going to be, but it looks like we’re approaching it with a full head of steam. Click through after the break for my synopsis and review of tonight’s episode. I first heard about Naomi Novik’s Temeraire series when reading through the list of upcoming books and authors to watch in Locus magazine. (By the way, if you are at all interested in trying your hand at SF or Fantasy, Locus is a must-read for you; you can subscribe online at their website here.) It’s premise of a Napoleonic period with dragons immediately captured my attention. 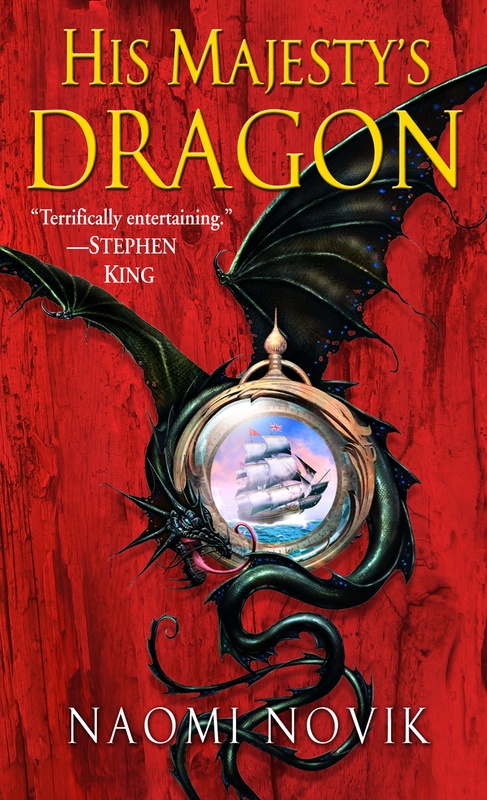 The addition of naval elements cemented the deal, and I went down to my local bookstore to buy the first book in the series, His Majesty’s Dragon. What a great debut novel this is. Runtime: 1 hr. 42 mins. 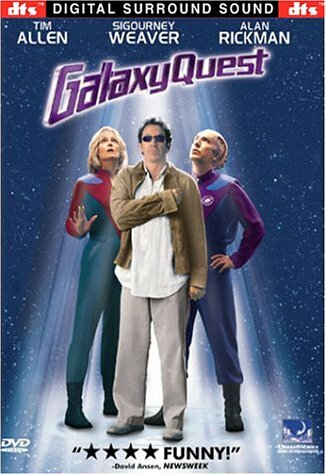 In the same vein as my earlier review of Ghostbusters, here is another one of my go-to movies. I define these as movies if, as I’m flipping through the channels, I should see them on, I’ll stop and watch them through to the end. These aren’t always the best movies of all time, or even the ones that did well at the box office, but they are, for whatever reasons, the ones that do it for me. A lady's got to know her limitations.